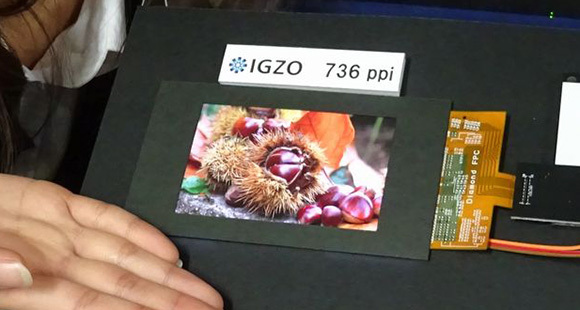 The Japanese manufacturer released a new IGZO LCD display, measuring just 4.1″ but with a huge resolution of 2560 x 1600. After a bit of math, the pixel density of this baby is 736ppi, which is more than we could ever imagine. Basically, it’s the same density as a 6″ QHD display would have, according to GSMArena. Unfortunately, we still have to wait a bit until this amazing piece of technology will be present on our phones, as Sharp announced that the unit will enter mass production in 2016, while manufacturers will receive sample displays next year. Stuffing so many pixels in a small display was possible by using pixels smaller than regular ones, measuring just 11.5µm, according to the same source. Thus, Sharp was able to fit a lot of them in a panel which is already considered as being small nowadays. What do you think about this innovation? Do you think Sharp’s new display will be battery-friendly too?